The Massachusetts Joint Committee on Transportation heard a bill Monday afternoon that proposed extending access of identification cards to the homeless community. H.2737 would allow for those experiencing homelessness, including youth, to receive identification cards and have the fee for the identification waived or reduced. 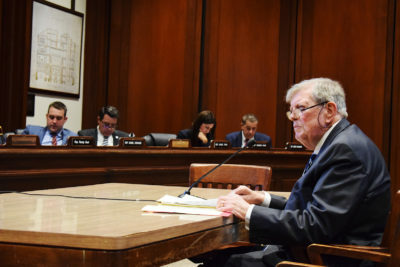 Kelly Turley, the associate director of the Massachusetts Coalition for the Homeless, said before the hearing the bill will eliminate barriers encountered by those experiencing homelessness when applying for Massachusetts identification cards. “Accessing identification cards often are a barrier to being able to get a job or to get back into school, to be able to access state buildings, to be able to open a bank account — really to be able to fully function in society, being able to prove your identity is something that most of us take for granted but isn’t always possible for people experiencing homelessness,” Turley said. The bill would work with the Registry of Motor Vehicles and the Massachusetts Department of Transportation to involve alternative ways of proving Massachusetts residency in addition to reducing or waiving fees, Turley said. Massachusetts would be following in the footsteps of other states who have implemented similar programs, Turley said during the hearing. Corey Prachniak-Rincón, the director of the Massachusetts Commission on LGBTQ Youth, said during the hearing it is important to advocate for those experiencing homelessness, especially LGBTQ youth and transgender people. LGBTQ youth are more likely to skip school due to factors such as bullying, Prachniak-Rincón said, referencing the 2015 Youth Risk Behavior Survey. They are also more likely to be threatened or injured while walking at school, more likely to have contemplated suicide and more likely to have experienced sexual assault, he said. Several supporters of the bill said there is a need for this type of legislation in Massachusetts. Y2Y Harvard Square, a youth homeless shelter in Cambridge, supports the bill due to the increased risk for LGBTQ youth to experience homelessness accompanied by a need for government provided services, according to members of the organization. Jorge Ledesma, a junior at Harvard and a Y2Y staff member, said, at the shelter, many guests have said they have encountered barriers trying to obtain an ID. “Like a $25 fee for funding an ID doesn’t seem like something that would impact an individual person too much, but talking to each one of our guests we see that that is something that constantly creates a sense of apprehension about what the future holds,” Ledesma said. Rita Shrestha, a senior at Harvard and the advocacy director at Y2Y, said residents in their Cambridge shelter often raise concerns about access to identification cards. Robert Folan-Johnson, 56, a member of the Boston Homeless Solidarity Committee, said it is important to allow access of IDs to the sick homeless community. 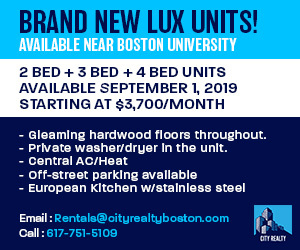 “This issue is really important for people who are homeless, who are sick and disabled because often do they not only need an ID to access services, those services can very often be life sustaining and that loss of those services can be life threatening,” the Roxbury resident said. Accessing prescriptions requires a state ID, and this becomes a challenge for homeless people, he said.